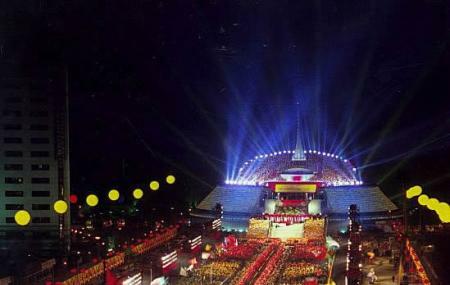 The China Century Monument is situated between the people’s Revolution Military Museum and Central Television Station and was constructed to welcome the 21st century’s coming. Visit the destination and get blown by its beauty and grandeur that is sure to make your trip here worthwhile. The whole look and the carving of the monument is very impressive and thus sees a lot of visitors all year round. Visitors should reserve at least one day earlier before the tour but can book tickets for the next 7 days. Individual tourist booking via telephone should provide their name, valid certificate no. and the no. of tickets they want which is limited to 5 once for one day. Group tourists booking via telephone should provide the related information such as the contact method, the no. of tourists and ect. The tickets reserved should be less than 100 once per day. Take a bus from Yuyuantan South Gate. Take a subway from Military Museum.